In this page we will give you an overview of the main places to visit in Barcelona. 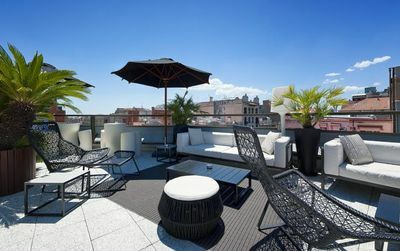 Barcelona is an unforgettable and culturally rich city. You come here for a thousand reasons: its football club, its magnificent beaches, its Mediterranean atmosphere and especially its nightlife and gastronomy. But the visitor knows that he will discover much more. 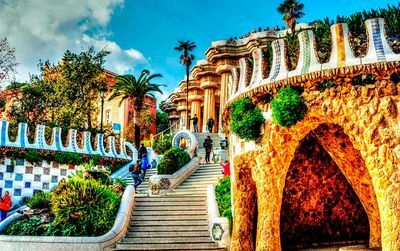 Barcelona is much more than a seaside destination, it is the city of modernists, of the extraordinary architect Antoni Gaudí, of great artists like Picasso, Miró, Tàpies, designers and musicians. Barcelona is not turned to the past, it is a city in motion, always dynamic, creative and fun. For example, it continues to attract young people and startups who understand that you can study, work and live pleasantly in this magical melting pot. It is all these atmospheres that you will discover during your stay that we wish you pleasant. 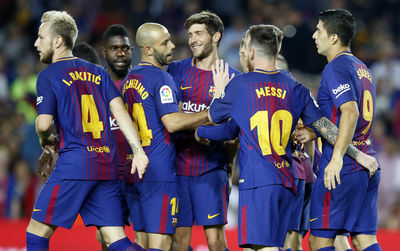 How to buy Barcelona tickets and guided tours? What to do in Barcelona in the evening? Not to mention a quick look at the 15-day weather forecast! Our advice for an ideal stay: Buy your tickets before your departure, to avoid queues! The attractions we present here are the most emblematic of the city but they are also the most visited. That's why we also show you the way to visit them with skip the line tickets. It's so much easier, once purchased your tickets are 100% mobile i.e. printable or in your phone. No more queuing. 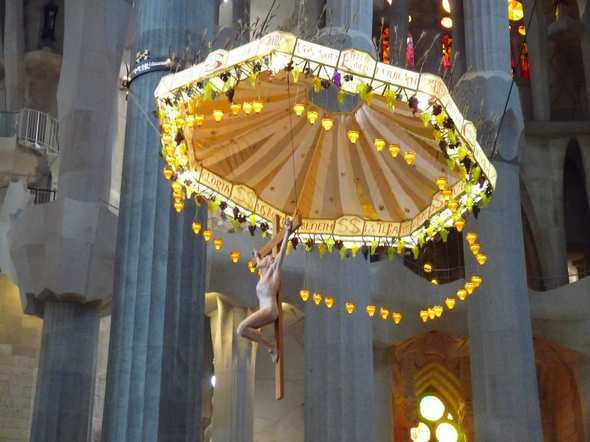 The Sagrada Familia was declared a World Heritage Site by UNESCO in 2005. The basilica was consecrated by Pope Benedict XVI on November 7, 2010. Another temple of the city, its famous Camp Nou, the FC Barcelona stadium. It can be visited from top to bottom. 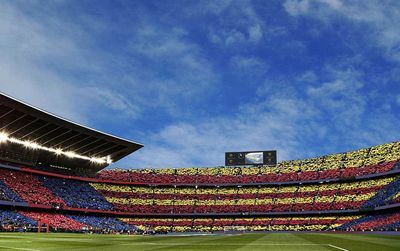 With a capacity of 98,772 places, it is the largest stadium in Europe capable of hosting Champions League finals. Camp Nou Tour lasts 2 hours it will lead you from its museum towards its lawn and its stands while passing by the changing rooms, the corridor of the press, its chapel and many other mythical places for a football fan. We end with the FC Barcelona shop to complete his collection of jerseys and hundreds of accessories. It is the largest FCB store in the world. La Casa Milà known as La Pedrera (the quarry) because its façade reminded Gaudí's contemporaries that this strange building had little in common with the idea they had at the time of a mansion. It has crossed time in all its splendour. Count two hours to visit its terrace, its museum and understand to what extent its author was a global visionary: from the superstructures of the place, to furniture or simple door handles. You certainly know of its wonderful polychrome facade of ceramics and glass. This work commissioned by Josep Batlló in 1904 and is a dreamlike journey into the imagination of a naturalist Gaudi. From the dragon-shaped roof to the smallest decorative details, you are at the heart of Catalan Art Nouveau and its best leader. It is an incredible visit that awaits you with an audio explanation in English that will allow you to understand the subtleties and references of this place. Güell Park was destined to become a "garden city". Gaudí's titanic project was never finished. It remains today as it was then: two houses and the park. A magical place which will make you discover some of the most beautiful symbols of the city to quote for example the famous salamander in mosaic or the large terrace surrounded by undulating benches which offers a dazzling sight on the horizon. Located in Montjuïc, the building designed by Josep Lluís Sert is a haven of calm and softness made of large luminous spaces. The ideal cocoon to discover the work of Joan Miró painter, sculptor, engraver and Catalan ceramist born in Barcelona in 1893. Influenced by the fauvists, cubists and expressionists, the image of the surrealist is preserved, with eventful and colourful works that today inevitably remind the Spanish soul itself. The place is magical and Joan Miró's work to see or see again for any lover of Spain. It is the soul of the city and a large part of its history. 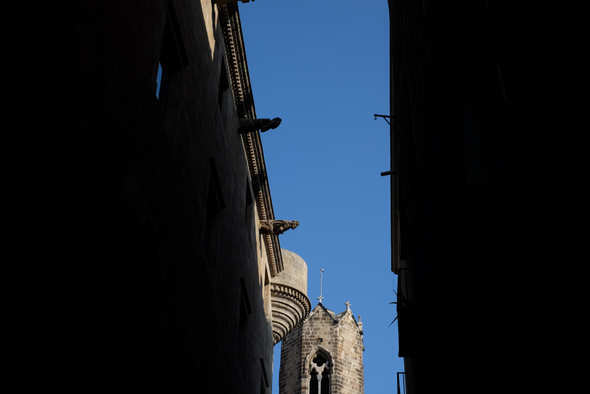 Barcelona's historic district is to be discovered while strolling. Every alley, every palace are little moments stopped in time. You can also go shopping or just have a drink. And for those who want to deepen their knowledge, a very instructive guided tour is proposed to you. By discovering the parks of Montjuïc, this hill between sea and city, you will first of all have the pleasure of enjoying ideal green and shaded spaces in the middle of summer. But it's forgotten that you're in Barcelona and there's no shortage of attractions. We talked about the Miró Foundation, we could also mention the adorable Mies van der Rohe Pavilion, the Poble Espanyol or Spanish Village which presents a concentrate of the architecture and crafts of the country, the Olympic Stadium or the National Art Museum of Catalonia (MNAC). It is this last one that we strongly recommend to you for seeing works of El Greco, Zurbarán, Velázquez, Cranach, Rubens in a gallery completely renovated in 2018. An unforgettable evening in the lair of one of the greatest football clubs in the world. Si, Si! 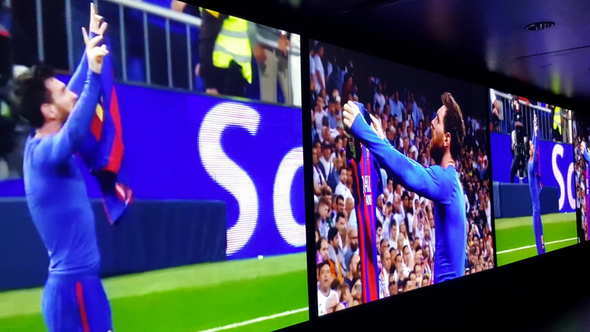 Family atmosphere, Catalan anthem and thrills guaranteed when Barça scores! On game nights the city stops to watch his team. For young and old alike! One thing to do and live once in a lifetime! Too often we forget this wonderful way to apprehend a city in a few hours. The hop-on hop-off tourist bus is however a rather playful way to make your first steps in a city and to discover its main attractions. We can only advise you this bus with its 3 routes, 45 stops and 5 interconnections that let you free choice to board, get off as many times as you want, at the foot of all the most famous attractions of Barcelona.